Seasonal roads are county roads and permits to do work within the road right-of-way are required. Seasonal roads do have signs designating them as such. Routine maintenance generally consists of grading once or twice per year. 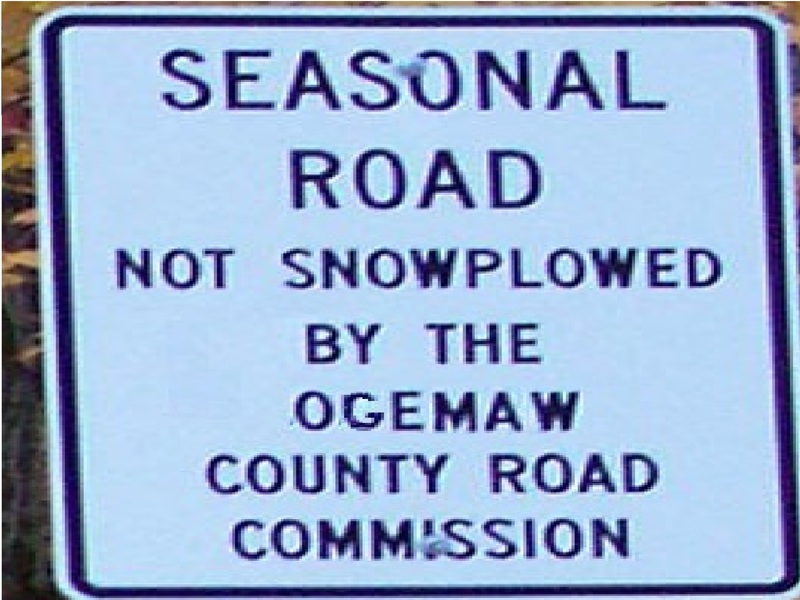 Seasonal roads in Ogemaw County generally receive maintenance (grading) in the spring. The Road Commission does not maintain or snowplow seasonal roads between the months of November 1st - April 30th. NO maintenance is conducted on these roads during these months. Therefore, a seasonal road may not be open to public travel during this time. Private landowners need to perform their own snow removal.